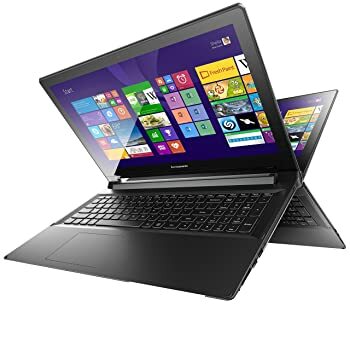 Lenovo Flex2 15.6" Touchscreen Dual mode Laptop Core i5-4210U 8GB RAM 1TB HDD. 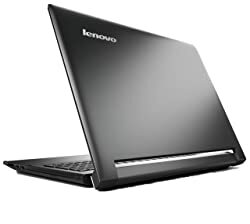 Lenovo Flex 2 offers you more comfort and more convenience than any other laptop. It simply takes your computing to the next level by offering you multiple modes for working. It gives you the freedom to choose the mode according to your comfort. 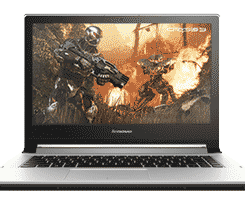 From web browsing to gaming to office work, Lenovo Flex 2 is ideal for everything. Now you can get more productivity and more accuracy using its 10 point multi touch display. 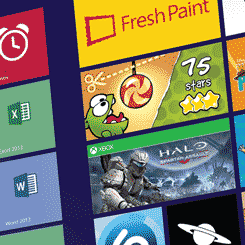 It is designed to work with Windows 8.1. It lets you keep all your important applications on the start screen so you are just a tap away from your work and entertainment. This intuitive touch also offers a comfortable typing experience and also makes your gaming more fun. Lenovo Flex 2 comes with Intel graphics and HD display. The 15.6-inch (1920 x 1080) display lets you enjoy your games and multimedia in high quality. Make your computing experience more alive with Lenovo Flex 2. It is ultra-thin and ultra-light. With 2.5 kg and 25.8 mm thickness it packs Core i5 -4210U processor. Powerful processor and 6 GB of fast DDR3L memory, up to 1 TB HDD gives you more productivity. Lenovo Flex 2 has the capacity to store all your files including pictures and videos. Its size and weight encourages you to take it on the move. Now you can call your friends over for watching your favourite movies as Lenovo Flex 2 provides you an outstanding cinematic surround sound. Dolby Advanced Audio makes your sound experience better by reducing the distortion in audio and enhancing the quality. You can also enjoy this high quality audio through your headphones. Your web chats are more fun thanks to its built in HD web cam. This 720 P resolution camera has enhancing low light capabilities which means our pictures will look good even if the lights are dim. Pictures taken by this webcam are so good in quality that they will look good even on large screen TV. Lenovo Flex 2 comes with a complete range of connectivity options. It offers you two options of wireless connectivity. 802.11 b/g/n Wi-Fi adapter gives you a stable internet connection in public places or at your home whereas Bluetooth 4.0 also makes your data transfer easier. It features 2 USB 2.0, 1 USB 3.0 port, two-in-one card reader (SD/MMC) and HDMI output port. USB 3.0 gives you ten times faster rates than USB of previous generation. Connect your laptop to projectors and TVs for big screen entertainment by using HDMI port. VeriFace Pro is a new technology used to log in your laptop. It treats your face as your password and prevents unauthorized people to access your laptop. It provides more security to our data by allowing us to encrypt and decrypt passwords and also alerts you when an unauthorized person tries to use your PC. 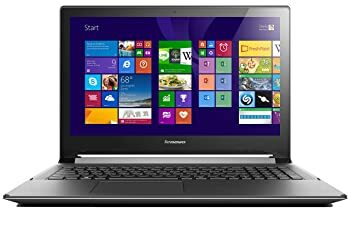 Lenovo wants you to take most out of your laptop and for that purpose it recommends you some apps which suits your current mode. When you change your laptop’s mode it detects it and also alerts you by a pop up message. You can click on that pop up message to find the apps which best suits that mode. The app list is made by keeping your country and region in mind. You can easily download those apps using Lenovo Recommends. To let you have an unstoppable entertainment it is equipped with high capacity battery. It gives you up to six hours of browsing before it needs to be recharged. It allows you to work on the move without any difficulty. Lenovo offers you some tools which help you in discovering new things. 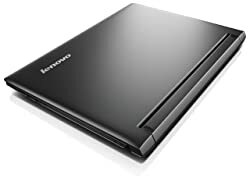 Lenovo Companion and Lenovo Support makes your computing experience better by guiding you how to take most from your PC and allows you to monitor the performance of your system. Improve your battery’s life and make it more durable by using Lenovo energy Management. Lenovo Cloud allows you to store your data in web storage so you can access it from any device. It gives you 5GB space to store your files and data.